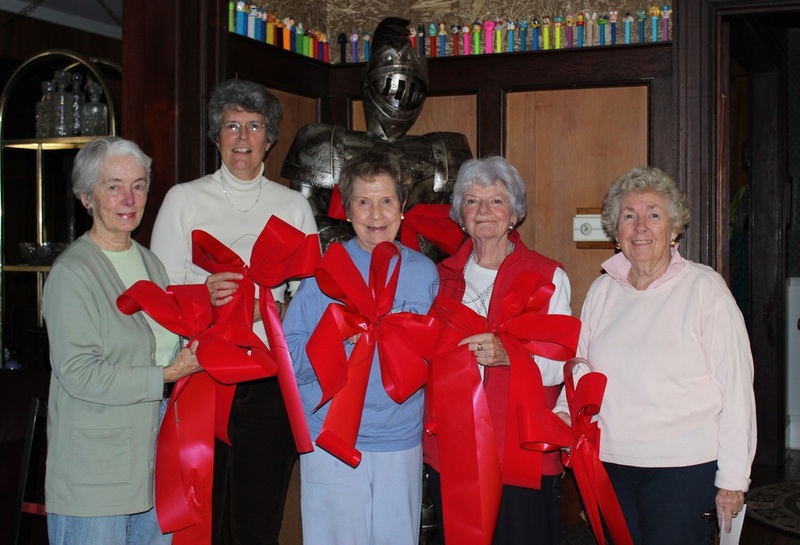 November 23, 2013 -- Members of the Sea Cliff Beautification Committee met once again at the home of Marga Crowley this past Monday morning for another round of bow-tying. The big red ribbons are now ready to be attached to the wreaths that will adorn lamp posts in the Sea Cliff business district throughout the next month contributing to the Village's holiday cheer. 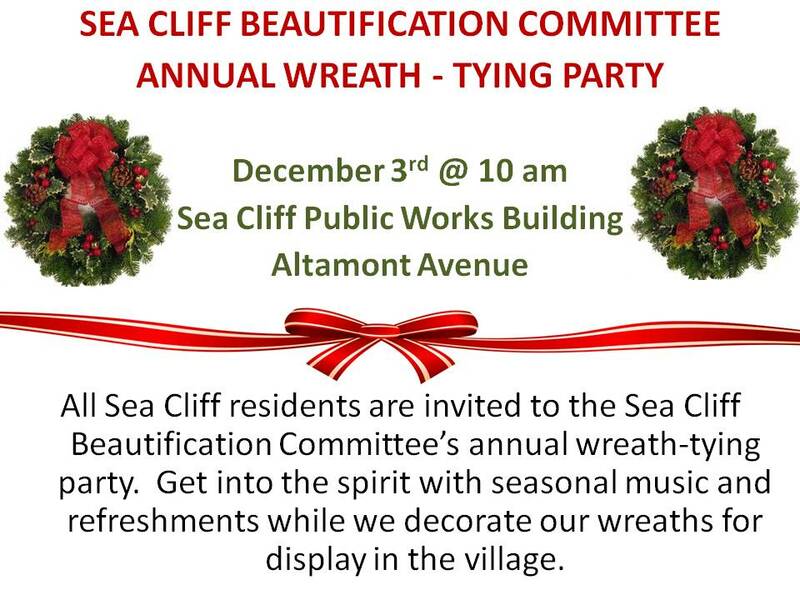 On Monday December 3rd, all residents are invited to get into the spirit with seasonal music and refreshments while decorating wreaths at the Beautification Committee's annual wreath tying party that will be held at the PublicWorks Building on Altamont Avenue at 10 a.m.